JBoss World 2011's much talked about keynote ended with a big bang - a live demo that many thought we were insane to even try and pull off - and has sparked off a lot of interest, many claiming JBoss has got its mojo back. One of the things people keep asking is, what actually went on? How did we build such a demo? How can we do the same? Firstly, if you did not attend the keynote or did not watch it online, I recommend that you stop reading this now, and go and watch the keynote. A recording is available online (the demo starts at about minute 35). Ok, now that you've been primed, lets talk about the role Infinispan played in that demo. The demo involved reading mass volumes of real-time data off a Twitter stream, and storing these tweets in an Infinispan grid. This primary grid (known as Grid-A), and ran off 3 large rack-mount servers. The Infinispan nodes were standalone, bootstrapped off a simple Main class, and formed a cluster, running in asynchronous distributed mode with 2 data owners. 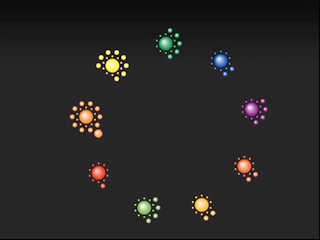 Andrew Sacamano did an excellent job of building an HTML 5-based webapp to visualise what goes on in such a grid, making use of cache listeners pushing events to browsers and browsers rendering the "spinning spheres" using HTML 5's canvas tag. So now we could visualise data and data movement within a grid of Infinispan nodes. As Twitter data started to populate the grid, we fired up a second grid (Grid-B) consisting of 8 nodes. 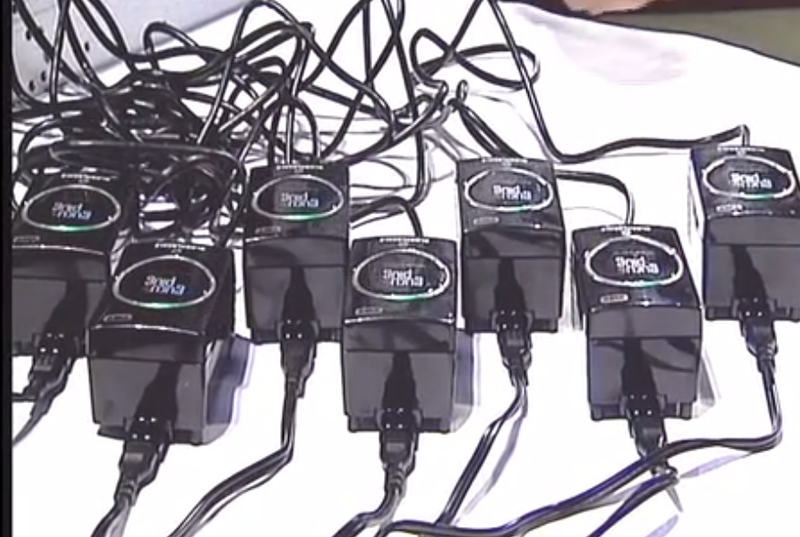 Again, these nodes were configured using asynchronous distribution and 2 data owners, but this time these nodes were running on very small and cheap plugtop computers. These plugtops - GuruPlugs - are constrained devices with 512MB of RAM, a 1GHz ARM processor. Yes, your iPhone has more grunt :-) And yes, these sub-iPhone devices were running a real data grid! The purpose of this was to demonstrate the extremely low footprint and overhead Infinispan imposes on your hardware (we even had to run the zero assembly port of OpenJDK, an interpreted-mode JVM, since the processor only had a 16-bit bus!). We also had a server running JBossAS running Andrew's cool visualisation webapp rendering the contents of Grid-B, so people could "see" the data in both grids. We then fired up Drools to have it mine the contents of Grid-A and send it to Grid-B applying some rules to select the interesting tweets, namely the ones having the hashtag #JBW. With this in place, we then invited the audience to participate - by tweeting with hashtag #JBW, as well as the hashtag of your favourite JBoss project - e.g., #infinispan :-) People were allowed to vote for more than one project, and the most prolific tweeter was to win a prize. This started a frenzy of tweeting, and was reflected in the two grid visualisations. Not only Infinispan is very quick here: needless to say, Drools was sending the tweets from Grid-A to Grid-B using HornetQ, the fastest JMS implementation on the planet. Jay Balunas of Richfaces built a TwitterStream app with live updates of these tweets for various devices, including iPhones, iPads, Android phones and tablets, and of course, desktop web browsers, grabbing data off Grid-B. Christian Sadilek and Mike Brock from the Errai team also built a tag-cloud application visualising popular tags as a tag cloud, again off Grid-B, making use of Errai to push events to the browser. After simulating Mark Proctor to try cheating the system with a script, we could recover the correct votes: clear Grid-B, update the Drools rules to have it discard the cheat tweets, and have a cleaned up stream of tweets flow to Grid-B. All applications, including Drools and the visualizations, where using a JPA interface to store or load the tweets: it was powered by an early preview of HibernateOGM, which aims to abstract any NoSQL store as a JPA persistence store while still providing some level of consistency. As HibernateOGM is not feature complete, it was using Hibernate Search to provide query capabilities via a Lucene index, and using the Infinispan integration of Hibernate Search to distribute the index on Infinispan. 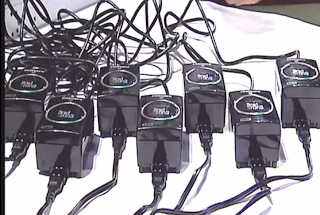 We then demonstrated failover, as we invited the winner to come up on stage to choose and brutally un-plug one of the plugtops of his choice from Grid-B - this plugtop became his prize. Important to note, the webapps running off the grid did not risk to lose any data, Drools pulling stuff off Grid-A onto Grid-B was still able to continue running, the Lucene index could continually be updated and queried by the remaining nodes. 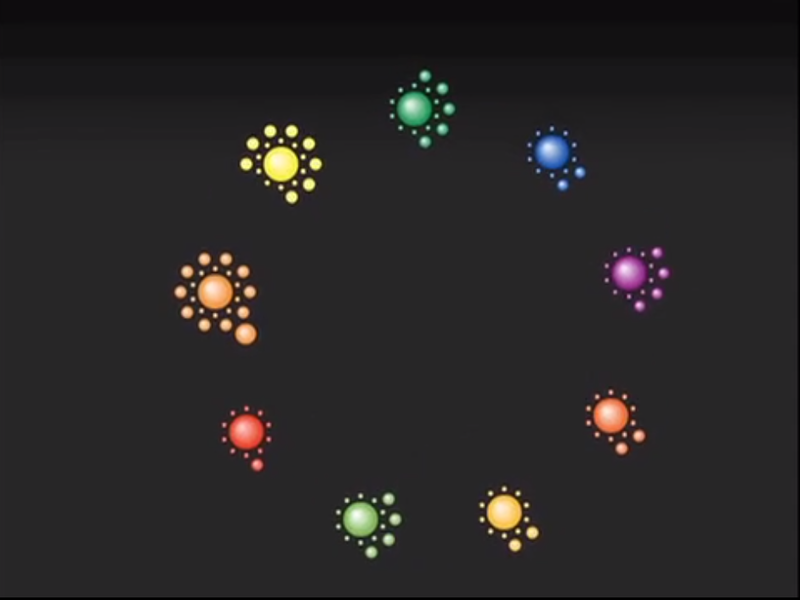 From an Infinispan perspective, what did this demo make use of? So a fairly simple setup, using simple embeddable components, cheap hardware, to build a fairly complex application with excellent failover and scalability properties. So we where depending on wi-fi connectivity, internet access, a live tweet stream, technology previews and people's cooperation! To make things more interesting, the day before the demo one of the servers died; hardware failure: didn't survive the trip. A second server, meant to serve the UI webapps, started reporting failures on all network interfaces just before starting the demo: it could not figure out hardware addresses of cluster peers, and we had no time to replace him: its backup was already dead. Interesting enough we could tap in some advanced parameters of the JGroups configuration to workaround this issue. Nothing was pre-recorded! Actually the backup plan was to have Mark Little dancing a tip-tap; next year we will try to stretch our demo even more so you might see that dance! So here you can see the recording of the event: http://www.jboss.org/jbw2011keynote or listen to the behind the scenes podcast. After the demo, we did hear of a large commercial application using Infinispan and Drools in precisely this manner - except instead of Twitter, the large data stream was flight seat pricing, changing dynamically and constantly, and eventually rendered to web pages of various travel sites - oh, and they weren't running on plugtops in case you were thinking ;) So, the example isn't completely artificial. How do you use Infinispan? We'd love for you to share stories with us.